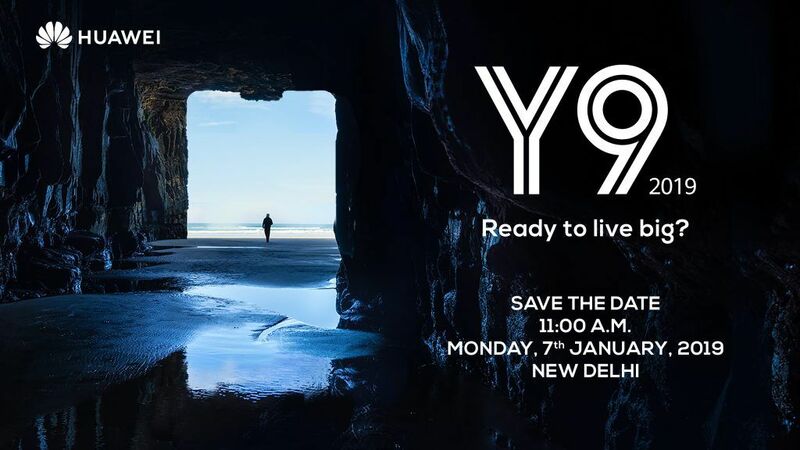 Update: Huawei Y9 2019 is officially launching in India on January 7 as company sends media invites for the event scheduled in New Delhi. Two days into 2019 and looks like we are all set to witness the first major smartphone launch of the year. 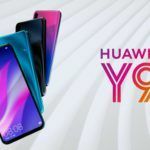 Chinese smartphone and telecommunications giant Huawei is all set to launch the Huawei Y9 2019 smartphone in India. 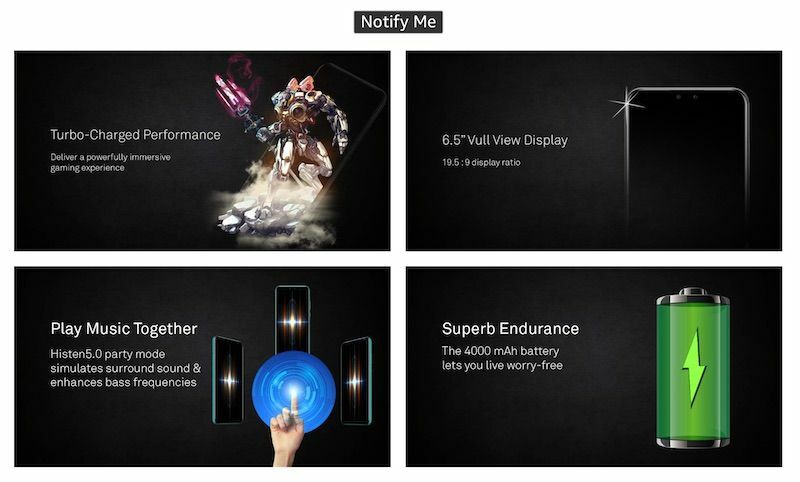 While the company is yet to officially announce the launch date, the landing page for the device is now live on Amazon India. This also indicates that the launch should happen in the next few days. 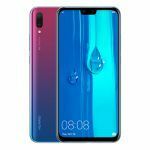 The Huawei Y9 2019 is a mid-range handset in Huawei’s lineup and was originally launched in China a few months ago. Let us now delve deeper into this story. 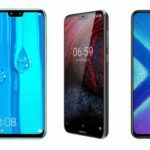 Huawei Y9 (2019): What’s on the Amazon landing page? 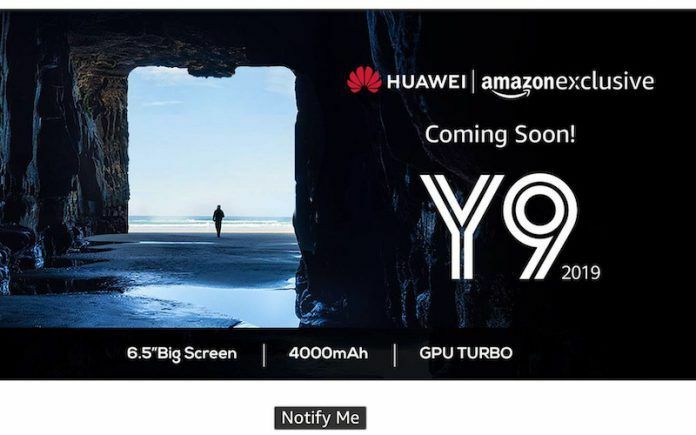 Since the Huawei Y9 2019 has been around in China for a while now, most of us already know the specifications of the handset. For the same reason, the landing page clearly mentions some of the specifications of the phone. These include the fact that the Huawei Y9 gets a large 6.5-inch display and a 4000mAh battery. The landing page also highlights the audio capabilities of the device and something known as the Histen 5.0 party mode that simulates a surround sound experience and boosts the lower frequencies for better bass response. The page also clearly mentions that the phone will be an Amazon exclusive. Here’s a screenshot of the landing page. 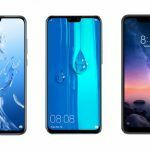 As mentioned earlier in this article, the Huawei Y9 2019 is a mid-range offering from the company and will complement its existing mid-range lineup that includes the Nova 3i and the Nova 3. The large 6.5 inch IPS LCD panel of the handset also ensures that the handset is more of a phablet than a smartphone. That being said, the phone is still not as large as some of the older phablets thanks to the full-view display with minimal bezels. This panel has a resolution of 2340 x 1080 pixels and is in the 19.5:9 aspect ratio. Powering the phone is the mid-range Kirin 710 chipset from HiSilicon (a Huawei subsidiary). This chipset houses an octa-core processor that uses four Cortex-A73 cores and four Cortex-A53 cores. It also features ARM’s Mali G51 (4 core) GPU. In China, the phone comes in 4GB + 64GB, 4GB + 128GB, and 6GB + 128GB variants. We still do not know which of these variants would make it to India. The Huawei Y9 2019 features a dual-camera setup at both the front and the rear. The rear cameras come with a combination of a 16-megapixel primary camera mated to a 2-megapixel depth sensor while the front camera setup consists of a 13-megapixel camera and a 2-megapixel depth sensor. Both the front and rear cameras record full HD videos. Other features of the handset include 4G VoLTE support, Bluetooth 5.0. And support for Wi-Fi b/g/n/ac. The handset comes with standard micro USB port and not a type-C for. And lest I forget, there is a 3.5mm audio jack for audio. As for software, it is expected that the Huawei Y9 will launch with Android 8.1 Oreo and EMUI 8.1 preinstalled. 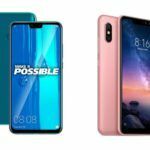 There is also a good chance that the handset will eventually be updated to Android 9 Pie and EMUI 9. Being a mid-range handset, we expect the Huawei Y9 to be priced between the INR 16K and INR 21k mark depending on the variant that makes it to India. 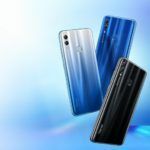 The phone will come in several color options that include Aurora Purple, Magic Night Black, Sakura Pink and Sapphire Blue.